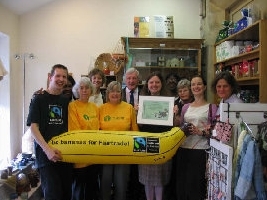 We sell Fair Trade foods and gifts to promote the vision of a fair trading system for the wider world community, especially through the Bread of Life Fair Trade Centre. One way in which the Church seeks to demonstrate the practical outworking of its faith. 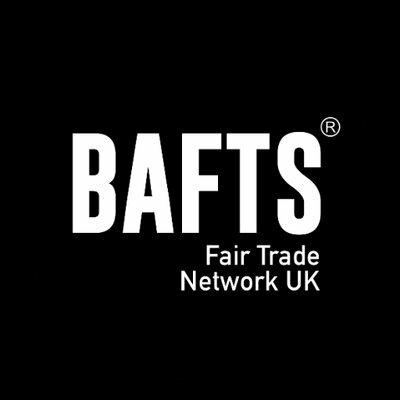 The Bread of Life Fair Trade Centre are proud to be a member of BAFTS. Please see link below to the BAFTS web site. On Saturdays from 10am to 1pm teas & coffees are served for a reasonable price, while the Fair Trade Centre is open. The Centre is closed Easter, Christmas and other holiday periods. Check out our Fair Trade Centre face book page. Please see below for the link. If you have a face book page, please can you like us. The more likes we get, the better for us.Thank you. 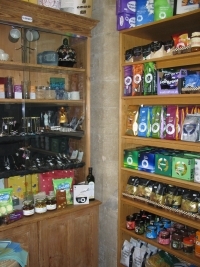 We sell fairly traded food (including museli, chocolate, sweets, coffee, tea, cocoa, hot chocolate) and other fairly traded goods. 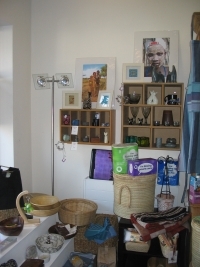 Products are from Traidcraft,Tropical Wholefoods, The Heartfelt Project, The India Shop,Just Trading Scotland, Cards from Africa and Namaste. See below for links to their websites and to other websites. We have a selection of recycled paper beads that are made into jewellery for sale from Beads for Education from Uganda. We are happy to place orders with Traidcraft on your behalf, but orders over £30 must be paid for at the time of ordering. 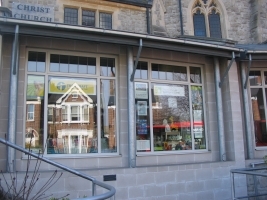 We can offer sale or return on food & craft products for groups eg Church groups. To make use of our sale or return facility please ring in advance to arrange. References are required the first time you make use of this facility. Just some of our fair trade goodies!